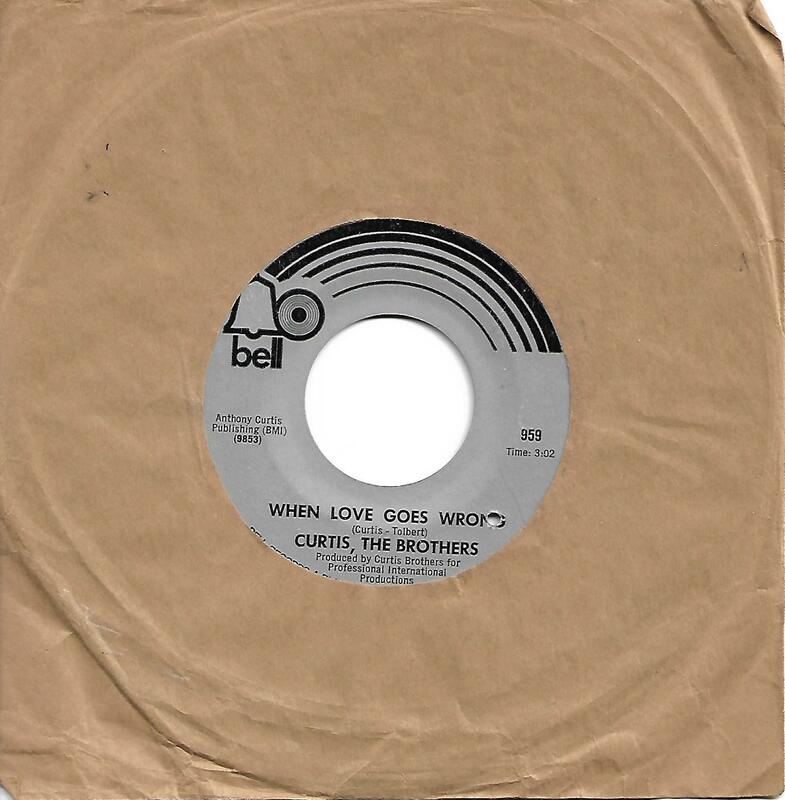 7" - CURTIS, THE BROTHERS - WHEN LOVE GOES WRONG / YOU MAKE EVERYTHING BETTER Mega-rare U.S. 1970 soul, commercial copy!! Absolutely super-rare U.S. 1970 soul 7"! This single is rarely found for sale, and when a copy turns up, it's almost always a promotional copy with the red & white labels. This is however a commercial copy, with silver/black labels! As of in the beginning of 2019, no Popsike results are to be found (just a few for the promo edition) and no copies sold on Discogs! The disc in nice condition, EX to EX-. There is a "drill hole" on the label. Housed in a plain brown paper sleeve.